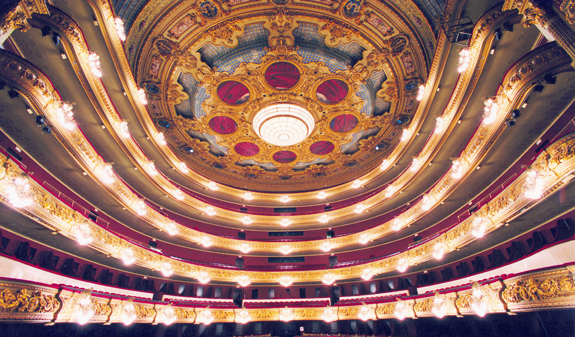 A former convent and theatre, the Liceu hasn't always resembled the opera house we see today. Its history is full of ups and downs and mysteries that make this cultural icon a key venue which we invite you to discover on a guided tour of the building. 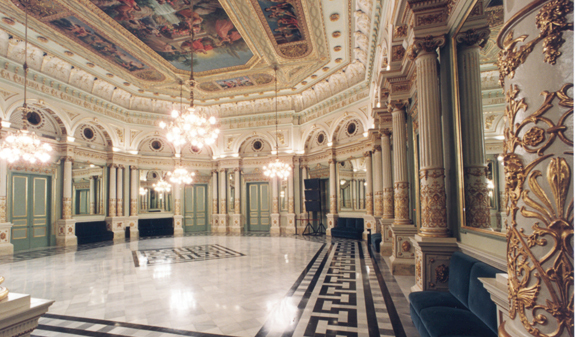 You'll walk through its most representative areas, starting with the historic lobby, in the eclectic Catalan Renaixement style. 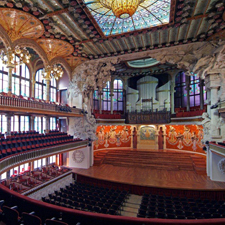 From there, you'll continue to the auditorium, an exact replica of the impressive horseshoe-shaped hall designed by the architect Miquel Garriga i Roca in 1847. You'll go up to the Hall of Mirrors, an imposing room with a ceiling decorated with allegorical paintings and texts referring to art and music. You'll discover the new foyer, the area where people used to relax during the interval and currently a multi-purpose room which hosts small-scale performances. 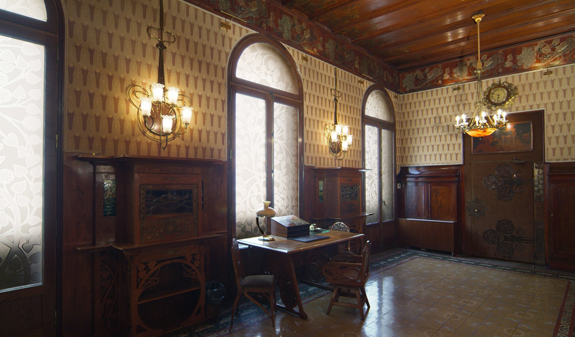 You can also visit the Cercle del Liceu, a private club and one of the most important examples of Catalan and Spanish art nouveau. 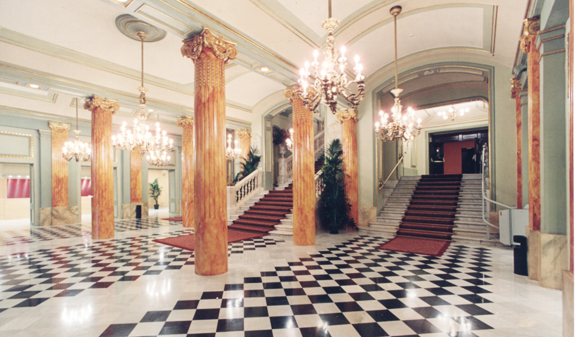 Prestige: guided tour + Cercle del Liceu. 50 minutes in English, Spanish or Catalan. Guided tour. 45 minutes in English or Spanish. Guided Tour (45'): Monday to Saturday at: 2pm, 3pm, 4pm and 5pm. Viste Prestige (50'): Guided Tour + Cercle, Monday to Saturday at: 11am, 12 and 1pm. Meeting point: La Rambla 51-59. Metro: L3, Liceu stop. Bus: 14, 59 and 91. 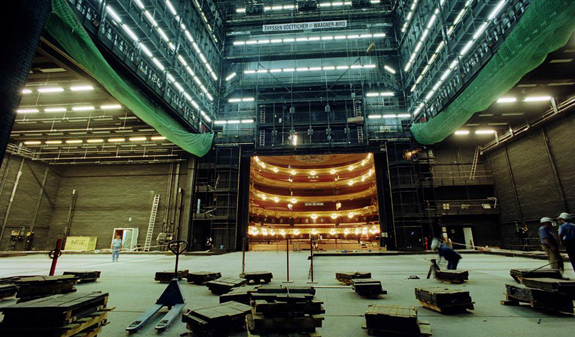 For technical reasons or when rehearsals are in progress, the main auditorium or other areas may be closed to the public. Entry is not allowed once the tour has started. Reduced admission: +65 years old, children (7-16 years old), students and official disability certificate. Proof of age must be provided when purchasing a reduced ticket. Free admission children under 7 years old.